A U.S. Supreme Court decision this week may pave the way for casino gambling in Michigan’s capitol city. Lansing mayor Virg Bernero says a $245 million casino project has been “cleared for takeoff” by the high court’s decision in a different casino case. In January, 2012, the Sault Ste. Marie Tribe of Chippewa Indians announced plans to build a 245 million dollar casino next to Lansing’s downtown convention center. But a legal challenge by the state has put those plans on hold. State officials sued to close an off-reservation casino opened by the Bay Mills tribe. But the U.S. Supreme Court Tuesday ruled against the state of Michigan, saying the tribe has sovereign immunity. State officials are trying a similar legal strategy against the Sault Ste. Marie Tribe of Chippewa Indians who announced plans in 2012 to build a Lansing casino. But Bernero says this week’s ruling “strikes down a major legal obstacle” to a capitol city casino. Casino supporters claim it will generate more than 2,000 permanent and construction jobs. 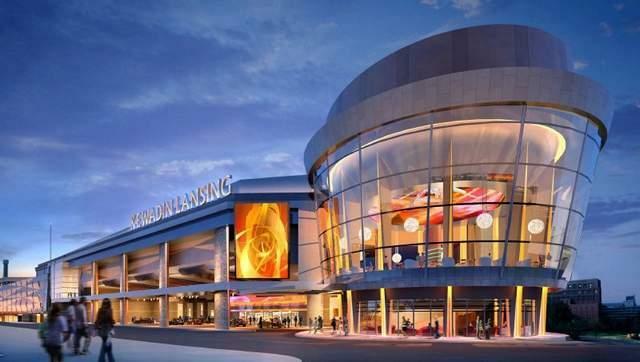 Bernero says a casino would make Lansing more competitive in attracting conventions. However, Michigan Attorney General Bill Schuette reads the U.S. Supreme Court decision differently. He says it gives the state the ability to file suit, even criminal charges, against tribal leaders who try to set up ‘illegal’ casinos. So, the future of the capitol city casino remains unclear. WASHINGTON – The U.S. Supreme Court says Michigan can't block the opening of an American Indian casino. The high court on Monday disagreed with state officials who want to shutter the Bay Mills Indian Community's casino about 90 miles south of its Upper Peninsula reservation. Michigan argues that the tribe opened the casino in 2010 without permission from the U.S. government and in violation of a state compact.